Hey , guys ! 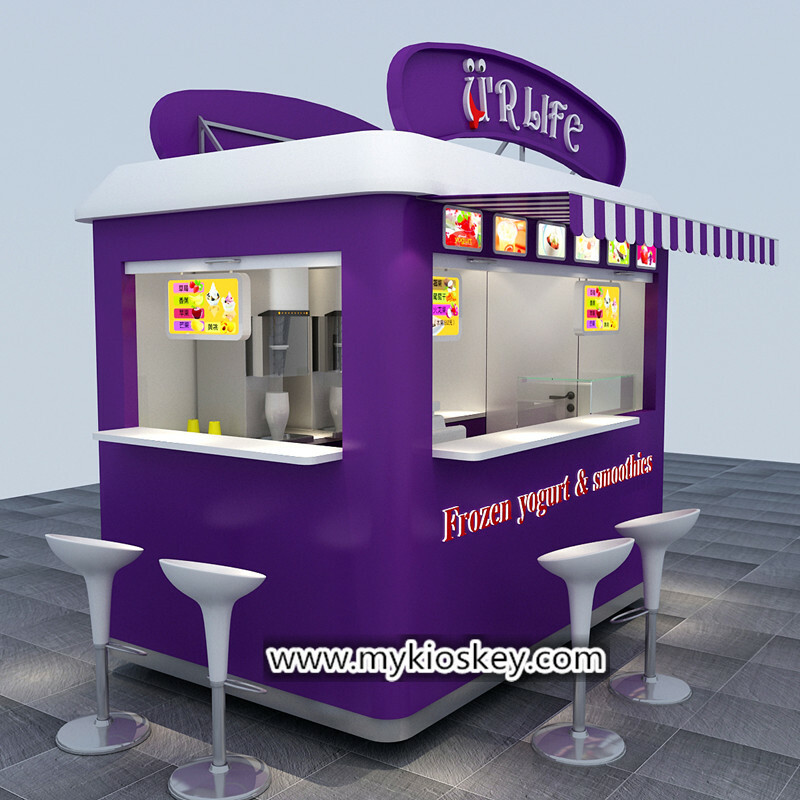 warm welcome visit our page , are you looking for frozen yogurt kiosk ? are you still worried can’t find a right supplier help you do it ? 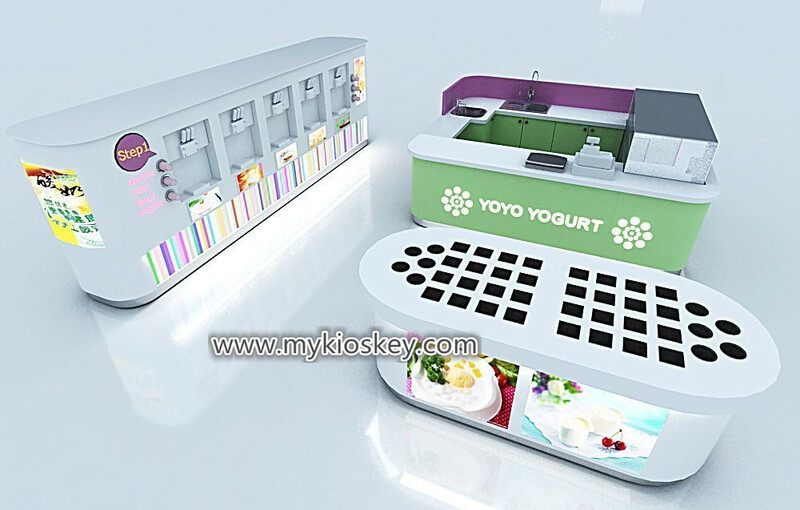 what i wanna introduce is a very popular frozen yogurt kiosk . if you’re interested start your own outdoor food business . pls follow me see more details at below . 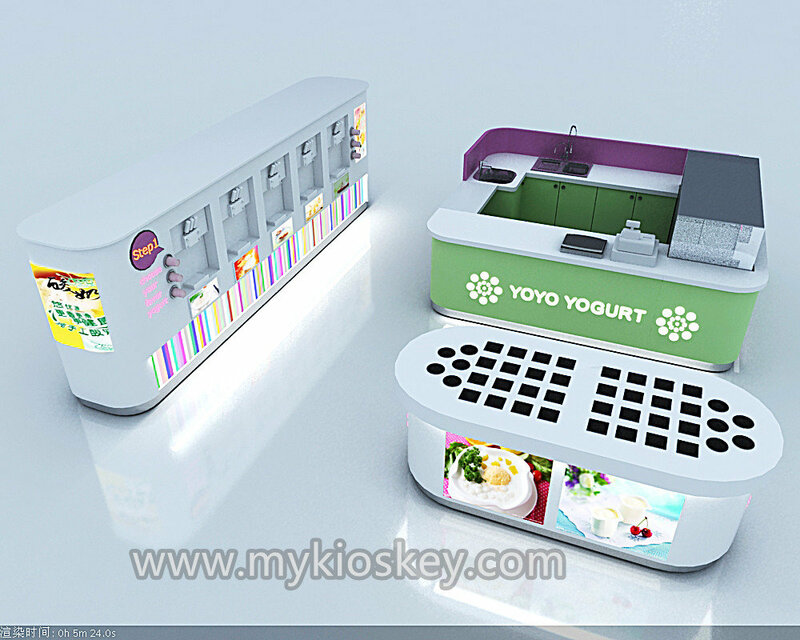 1.Basic information about this frozen yogurt kiosk . 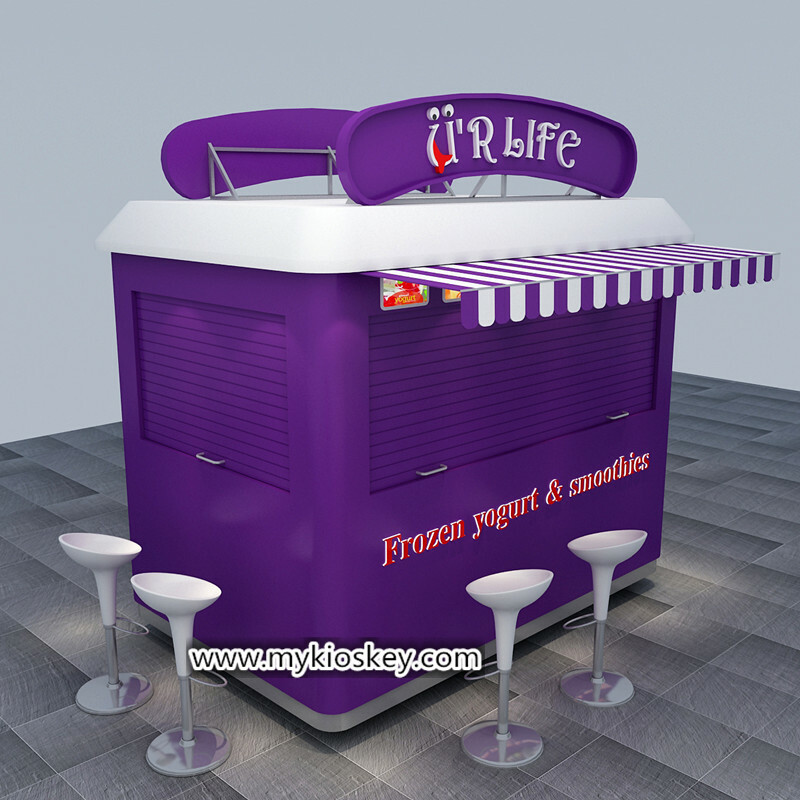 Item : frozen yogurt kiosk . Color : purple , white . 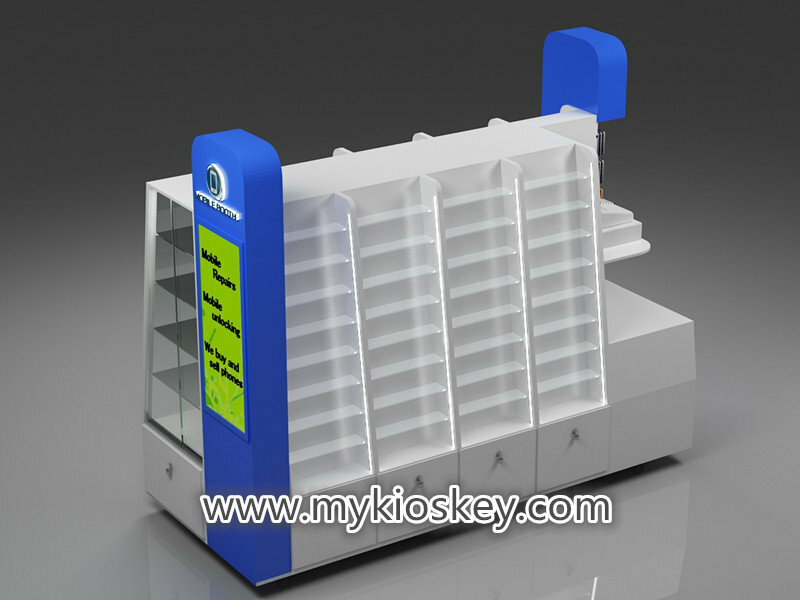 Material : plywood, aluminium-plastic panel . 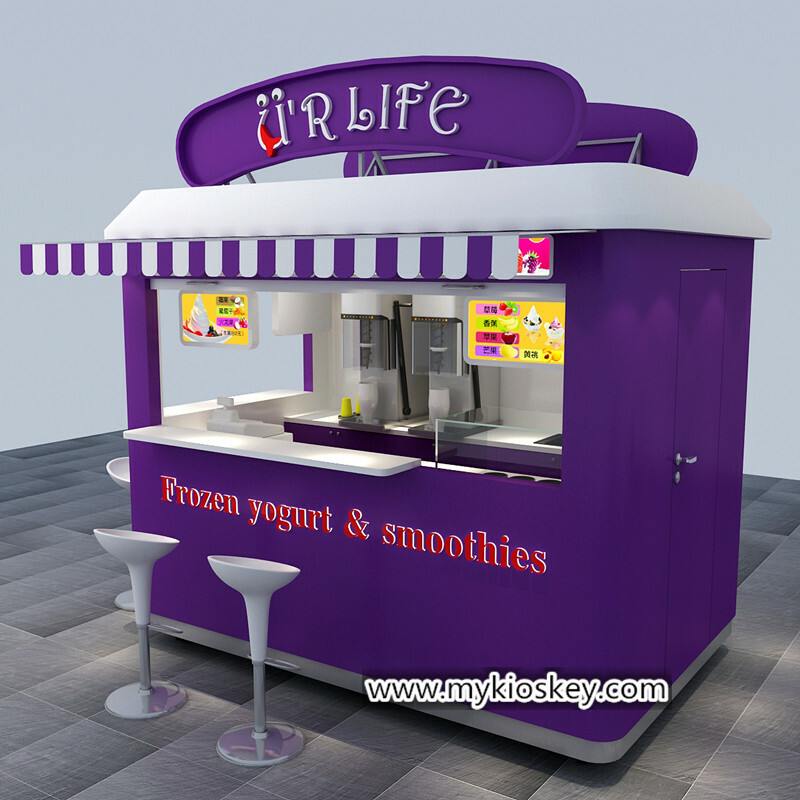 Service : frozen yogurt , smoothie, juice and more . Accessories : light box , acrylic letter . 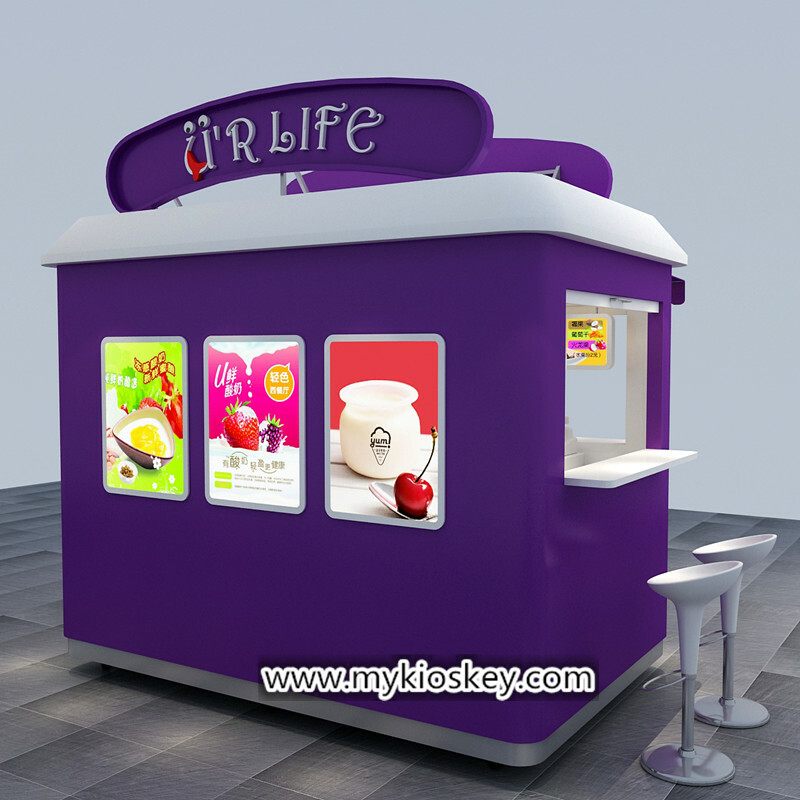 As you can see whole kiosk is very mini and equisite , basic material is plywood , surface is purple and white aluminium-plastic panel, inside with wooden counter . 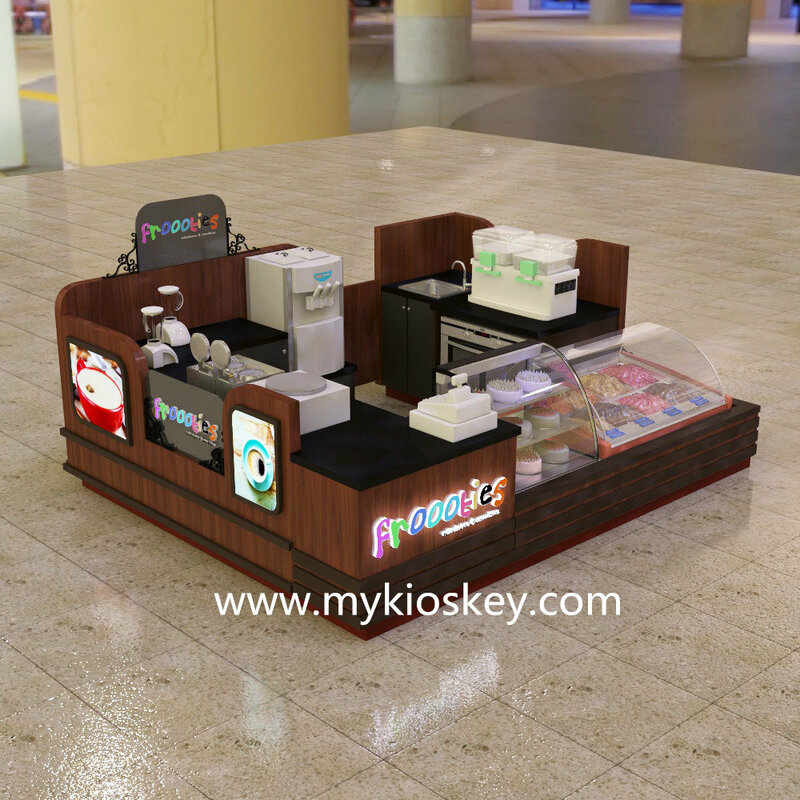 the front of this kiosk with many menu light box and sunshade . it’s easy to order and choose foods . you will notice the left sides also with a windows . 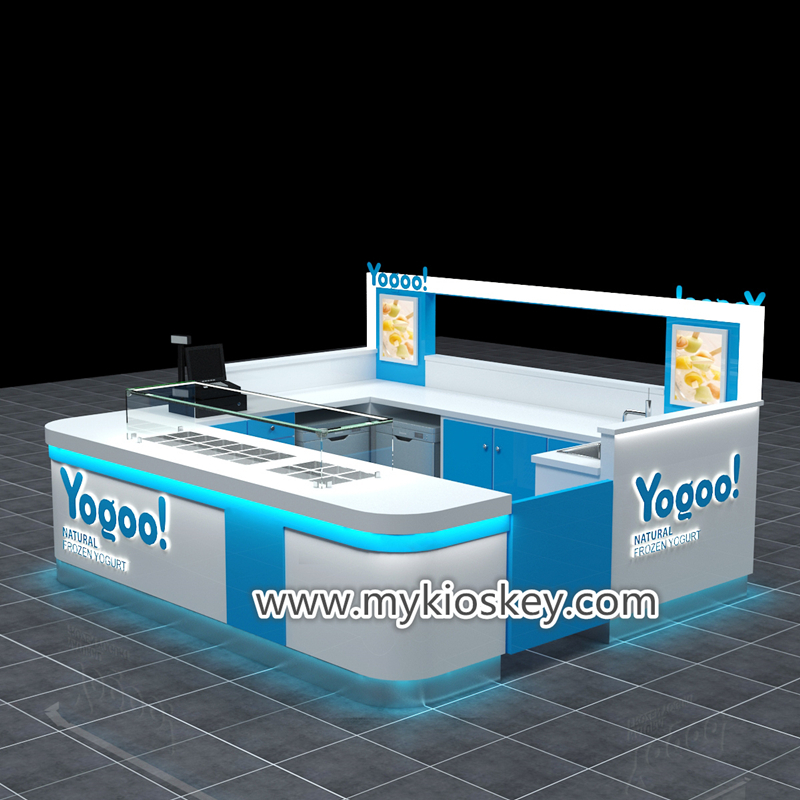 it with a small bar and bar chair for customer seating . it can closes at night . 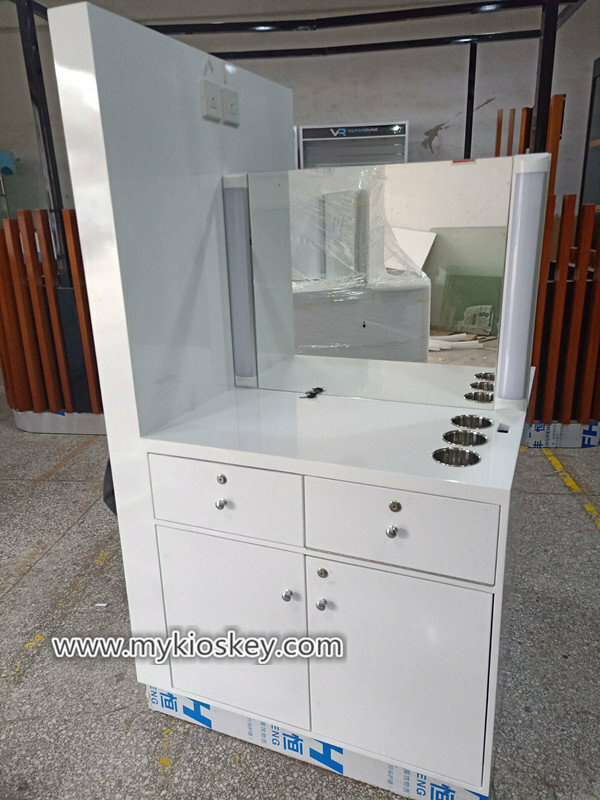 The back sides of this kiosk is a wooden counter , bottom with some cabinet for storage , the countertop can put the frozen yogurt machine . you can see the top of this kiosk with two big logo showings . is very attractive . 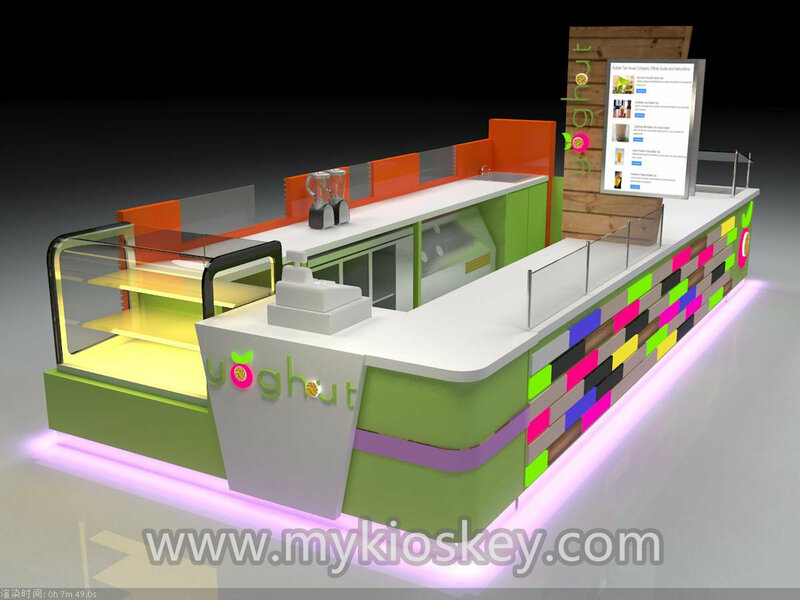 Thanks for your time and reading , if you wanna to know more further info or interested start a food kiosk like this one , pls feel free to contact us at below , thank you ! 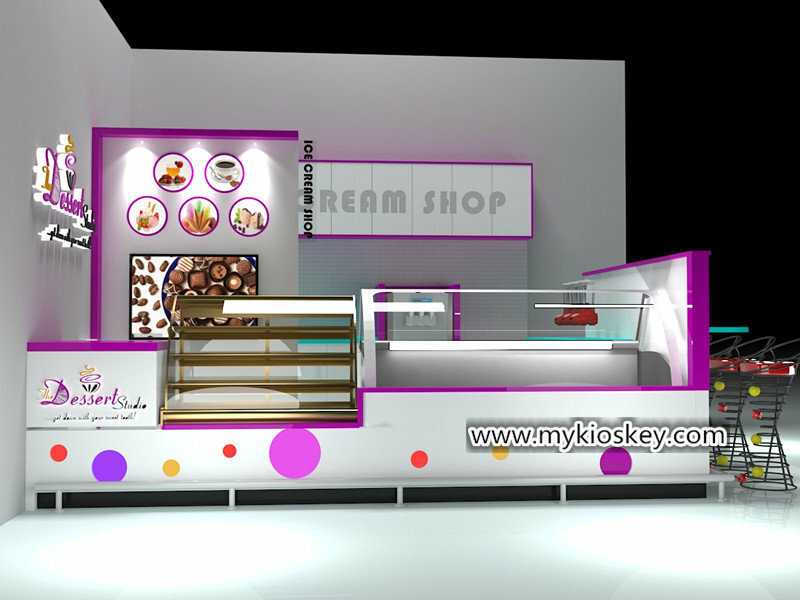 How to design your frozen yogurt shop very attractive?